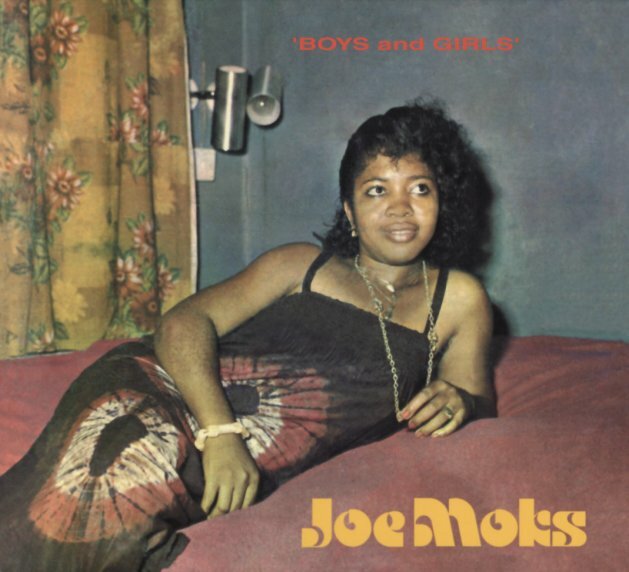 The music of Joe Moks has a nice sing-song feel here – a vibe that's almost more reggae than you'd expect from her Nigerian roots – but with an offbeat style that's also not like anything that might have come from Kingston! Instead, the groove here feels a bit like when American or British soul might borrow some rhythms from reggae, but change up the instrumentation and production – which this album definitely does with the higher-end instrumentation, which also includes some moogy bits that work this cool magic around the edges! Joe's vocals are very much in the groove – tied to the rhythms instead of trying to dominate them – stepping back and forth with a rhythmic pulse of her own – on titles that include "Insure My Love", "Boys & Girls", "Love Is Gonna Pay", "Closer Than The Sun", and "You Look Without Seeing". © 1996-2019, Dusty Groove, Inc.